**Dope mixture of Afro-Latin boogie heat, electro-cumbia shuffles and deep disco from the Antibalas multi-instrumentalist. Includes download code redeemable from the label** "New York City born and New Jersey City based Chico Mann (aka Marcos Garcia), a multi instrumentalist and guitarist with the afrobeat orchestra Antibalas presents his solo ‘Manifest Tone EP’ through Soundway Records. 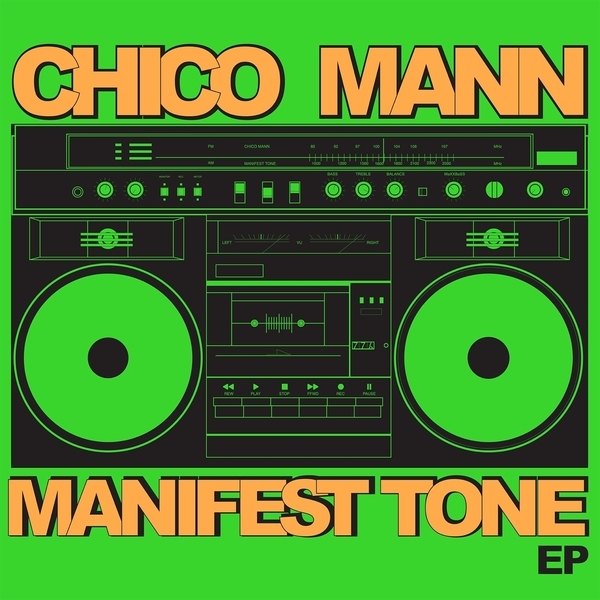 The EP represents four of the choicest cuts from Chico Mann’s ‘Manifest Tone’ Volumes 2&3 that until now were only available digitally. The Manifest Tone journey began in 2004. During breaks from touring with Antibalas Marcos began crafting a more personal sound in his basement studio. A hybrid beast of culture and tone, where Fela Kuti and Willie Colon meet stevie B, Lisa Lisa, Afrika Bambaata and Kraftwerk, it lives in a landscape shaped by Africa, Cuba, New York and Miami. Over the three volumes Chico Mann’s own unique style has emerged and evolved (something he has dubbed 'Afro-Freestyle')."